The KMB stack and nest container has many options. The two-section lid version provides an optimal way of protecting your products from damage. An optional seal prevents unauthorized access for goods being transported, which is great for high value items or products requiring extra security. Lead seals can also be attached to provide additional security, as can reinforced case straps using molded grooves. 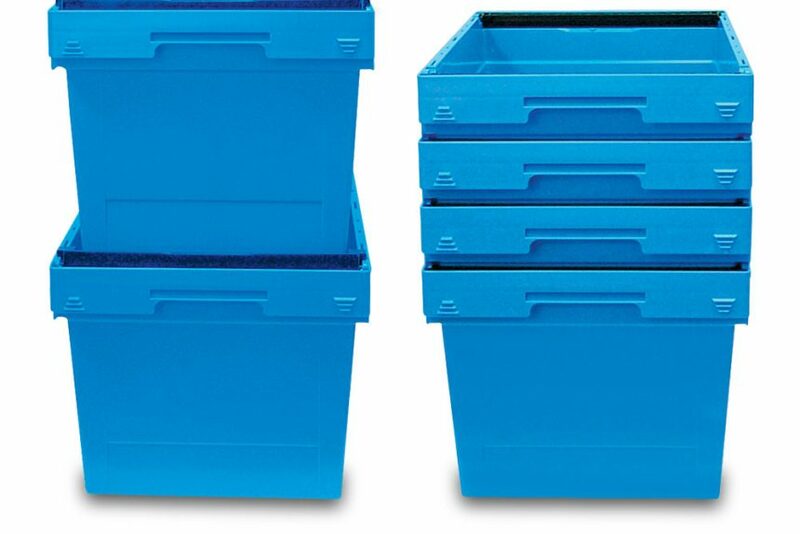 The hinged folding lid permits secure stacking of different sized KMB containers. The lids fold outward and lie vertically against the side of the container to permit nesting when empty. Measurements in inches, unless specified.